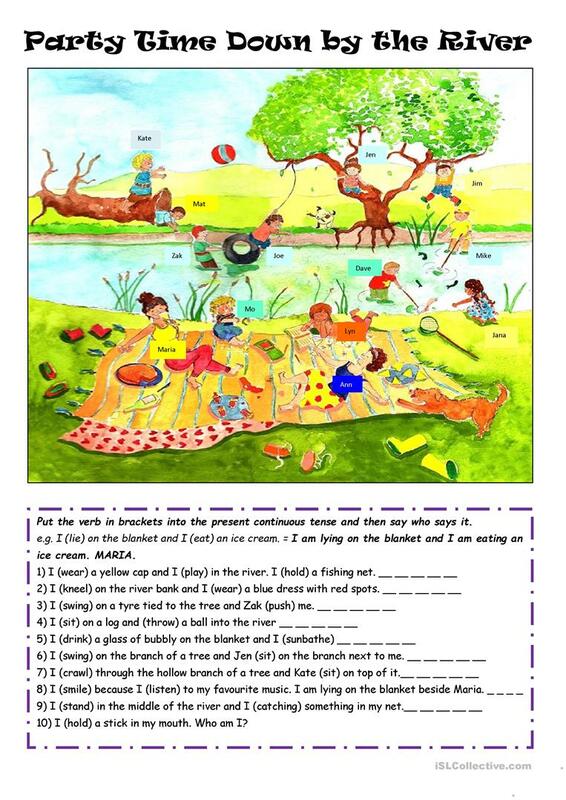 The students have to put the verb stem into the present continuous and then say who says the sentence. This printable, downloadable handout is a great resource for high school students and elementary school students at Elementary (A1), Pre-intermediate (A2) and Intermediate (B1) level. It is great for revising Present continuous (progressive) tense in English, and is excellent for strengthening your students' Speaking and Reading skills.